Tina Campt‘s Listening to Images, soon to be published by Duke University Press, was originally conceived in the CSSD project she co-directed called Engendering the Archives. Throughout the book, Campt tunes in to the affective frequencies inherent in various photographs of the black diaspora. 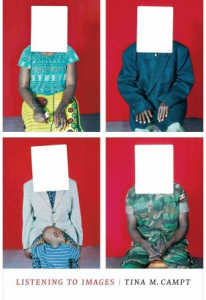 Images range from late nineteenth-century ethnographic photographs of rural African women and photographs taken in an early twentieth-century Cape Town prison to postwar passport photographs in Birmingham, England and 1960s mug shots of the Freedom Riders.